If you are charged with a crime in the State of Delaware it may seem like nothing can make things better. It may seem like there is no way to get around a conviction and the consequences. There is good news. You do not have to think this way. In Delaware, a good criminal defense lawyer can make the difference. You CAN WIN criminal cases in Delaware. I have been involved in cases where the evidence against the defendant seemed insurmountable, but somehow, some way we found a hole in the prosecution's case that gave us a window of opportunity. It is extremely important to choose the right lawyer. You should hire a defense attorney that has the skill and courage to effectively try a criminal case. Prosecutors all share one thing in common: they hate to lose. If they know your attorney is a serious trial lawyer you will probably get a better plea offer and they could even withdraw your charges. My name is Jason Antoine. I pride myself on being a true criminal trial lawyer. I thrive taking on the most difficult cases and solving difficult problems for my clients. This is not just a job for me. This is my passion. In my spare time I study and dissect the great trial lawyers such as Johnny Cochran, Gerry Spence and F. Lee Bailey. I have been selected by the National Trial Lawyers as a Top 100 Trial Lawyer. 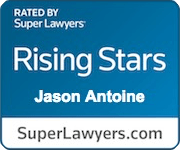 I have an AVVO rating of Superb 10 out of 10 and have the designation as a Top Trial Lawyer by the Global Directory of Who's Who. Why Hire Me to Represent You in Your Criminal Case? I am a former prosecutor. I have a diverse background. I worked as a prosecutor in Pennsylvania and worked as a law clerk at the Delaware Attorney General's Office. As a former prosecutor I had a conviction rate of over 99% and won 9 of 10 jury trials in my first year out of law school. I am lucky that I found my talent and calling early in my career. My results speak for themselves. * I have a record of trial excellence. I secured acquittals in several high stakes criminal cases* Again, when I was a prosecutor in Pennsylvania I had over a 99% conviction rate. During my time as a DUI prosecutor, I never lost a DUI prosecution or trial. * If you can find a Wilmington criminal defense attorney in his mid-30's with more trial success, don't hire me, hire them. I never give up. * As Winston Churchill said, "never give in and never give up in anything great or small." Never giving in is the single most important personality trait of a defense attorney you should consider when making your decision. I have learned it is usually not the smarter attorney or the more articulate attorney that wins the case. 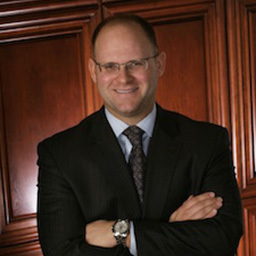 It is the attorney that is passionate about his cause and will not quit. I believe that prosecutors can only defeat you, if you let them. Whatever clever argument the prosecutors make, my rebuttals, objections and appeals will follow. I defeated brilliant attorneys from Ivy League schools using this simple idea. If you are interested in hiring a criminal trial lawyer, call my office at (302) 482-4802 to set up a free consultation. At the initial consultation I will conduct a thorough interview and go through any potential defenses and penalties applicable to your case. 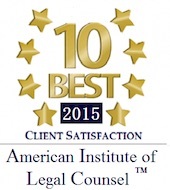 At the conclusion of the free consultation I will quote you a fee for legal services. Our office is conveniently located on Kirkwood highway directly across from the VA hospital. Look for the building with the white pillars. We have free off-street parking in front of the building and a parking lot in the rear of the building. We are on the second floor above Synergy Integrated Medical Center. **Click here to read disclaimer section.